We have had a number of enquiries now regarding whether we are an approved Volkswagen converter and whether we type approve our conversions. 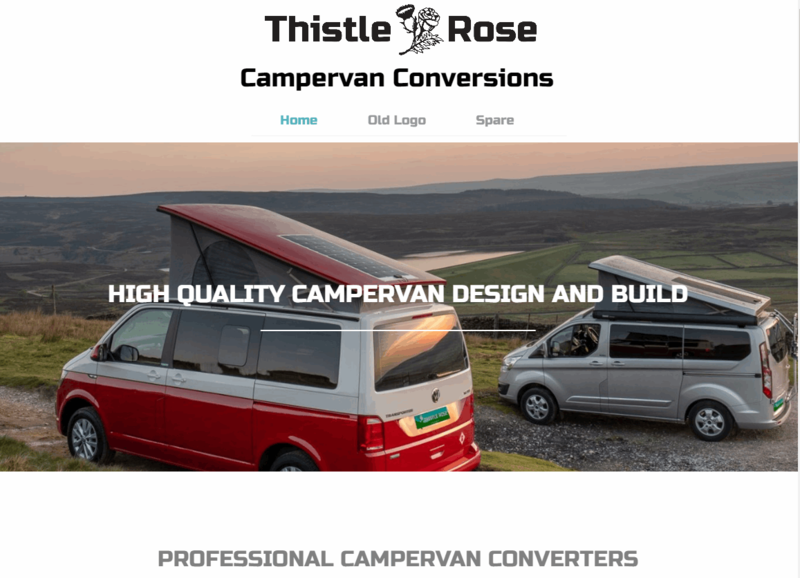 In my opinion, there is a lot of misinformation out there regarding manufacturer’s approvals and type approval and how it applies to a campervan conversion. So here is my comments on the various questions I’ve been asked regarding this topic and wherever possible I’ve included links to the likes of Volkswagen themselves or to official UK Government sources, e.g. DVLA, VCA and DVSA. This is a very complex topic, that can take up thousands of words and be the subject of much debate. My thoughts below are my interpretation of the requirements and bear in mind that there are thousands of people - engineers, civil servants and solicitors throughout Europe who make a living out of interpreting the directives concerned and dissecting the terminology. Therefore with this blog entry I need to make the comment that no contractual, legal or warrantable terms or rights are implied by this blog entry, they remain the opinion of the Author only and are not necessarily the legal views of Thistle Rose Leisure LLP. Disclaimer not withstanding, I hope as a layman’s guide this will help many cut through the websites, forums and the likes that start 'I've heard that...' and never refer to anything official to have an informed opinion on what is supplied and stated by other manufacturers or suppliers. I’d be happy to discuss the various aspects of this blog with a prospective customer – just contact me via the website or by phone. Q. Many converters make a direct statement that they are VW approved. Can you just tell me, are you a VW approved converter? A number of your competitors have stated that they are VW approved converters for camper vans whereas you don’t appear to be approved. I used to work for Mercedes-Benz and Renault as their bodybuilder liaison and I know that for legal reasons we never ‘approved’ any converters, hence I am reticent when others say they are approved. My belief is that VW’s policy is very similar, but for clarification of this you would have to refer to Volkswagen UK HQ in Blakelands, Milton Keynes. As a starting point for whether a converter is ‘approved’ by Volkswagen, I would refer anyone to the two links here; one is the list for VWUK approved suppliers and the other is the equivalent list for international suppliers. At the date of writing this blog (updated 28-3-18) no UK campervan converter is listed on either of these pages. Simple challenge – if a converter tells you he is an approved Volkswagen converter, ask him to prove it by sending you a copy of the paperwork! Why are there so few approved converters? Typically, a manufacturer will issue is a ‘non-objection’ to a specific element of a conversion, e.g. the cutting of the elevating roof aperture. A non-objection is not an approval, more a statement that the intrinsic safety and quality of the base vehicle has not been compromised by the alteration. Very little bodybuilding is done with the issue of a non-objection even. As you can imagine, with over a thousand converters in the UK working on campervans, with body in white cuts for roofs and glazing, seat and seatbelt mounts, fuel systems and electrical systems all being ‘altered’ to make a campervan – VW cannot review, authorise and police the conversions on an individual converter basis. The vast majority of work performed by a converter is done according to the ‘Body Builder Guidelines’. The link to the VW manual is given below as an example. This is, if you like, our reference ‘bible’ for the conversion work on a VW T6. The OEM’s warrant that if the guidelines are followed, that there is an inferred non-objection to the work performed by a converter and hence the warranty is not infringed. If you step outside the boundaries of the BBG, you should always apply for a non-objection to maintain the base vehicle warranty. Q. There seems to be a number of routes to changing a vehicle from a panel van to a camper van with increasing levels of commitment from manufacturers in the type approval process right up to EWVTA. Why do you not change all your vehicles according to the EWVTA – European Whole Vehicle Type Approval scheme as an indication that your assessment of each vehicle is as extensive as possible? First of all, there is no escalating scale of assurance in type approval processes, there are different avenues available due to the varying commercial aspects of the approval. I’ll explain the rationale behind this further on. Secondly, changing the classification of a vehicle and type approval are two different things, once again dependant on the individual circumstance rather than being an indicator of quality or level of approval. To have your campervan shown as a ‘Motor caravan’ on your registration document has two distinct pathways, dependant on whether the vehicle is already registered or not. In the event of changing the body type from a registered N1 goods vehicle to motor caravan, a change record is submitted to the DVLA. Type approval does not come into it at all as type approval only applies to NEW (unregistered) vehicles. The requirement here is that the adaptation meets MOT standards. This is not the same as saying that the adaptation meets type approval requirements. On our website we refer to the submission required by DVLA to change the body type from N1 goods vehicle to M1 Motor caravan. The link to the government (DVLA) site for this is below. There is a little conflict in these two official links, so we build to cover all the bases, e.g. always including double burner hobs as a minimum. We exceed the requirements here and also include documentation on elements of the conversion that we think are safety critical and should be included in the change of body type (e.g. seat additions and alterations, gas safety etc). In this way, the vehicle will be declared on the registration from new as a motor caravan. Type approval can be attained in a number of ways, but there is not necessarily an escalation in quality or assessment level – in fact the opposite can be the case in some instances! This is the VCA link for type approval of motor caravans, although I see that this page has not been updated since 2012! This is my layman summation of the various routes to type approving a new motorhome, i.e. prior to first registration. As I’ve said before, this route is not available for conversion of a registered van to a motor caravan. 1. IVA – Individual Vehicle Approval. Each vehicle is inspected by VOSA to ensure that where original elements of the stage 1 CoC have been altered by later stages of the build, that documentation exists and that the work has been performed to an appropriate standard. For example, in the case of a campervan, when you add in auxiliary electrics, the inspector will look to see that these are ‘E’ marked for regulation 10 use OR that they are disconnected from the vehicle whilst the vehicle is in motion. Another example would be that where an additional seat has been installed with seatbelts (and therefore can be used whilst the vehicle is in motion) that the seat AND it’s installation in the specific vehicle shell meets the requirements of the directive. Here’s a link to the IVA inspection manual that the DVSA inspectors use when inspecting a vehicle. https://www.gov.uk/government/uploads/system/uploads/attachment_data/file/556944/m1-iva-inspection-manual.pdf As you can see from page 6 of the foreword, a Motor caravan is defined as a ‘special purpose M1 category vehicle’ and is therefore only subjected to a ‘basic’ IVA. The DVSA recognise that IVA is a preferred route for various manufacturers and even allow manufacturers to produce a ‘Model Report’ for vehicles. This can speed up and simplify the IVA considerably, but is a route that most converters don’t even know exists! The official link to the IVA process is given here https://www.gov.uk/vehicle-approval/individual-vehicle-approval. 2. NSSTA - National small series type approval. There is the ability to self-certify and issue a CoC for a limited low-volume production run of vehicles for registration in an individual member state. There is no obligation for an external member state to recognise an NSSTA approval. E.g. if you had an NSSTA approval issued in the UK, the French would be under no obligation to accept the resultant CoC to register a vehicle in France. This route is not practical if you intend to export product. As numbers for NSSTA in the M1 category are limited to 75 per annum, I doubt there are many will adopt this route in campervan conversions. http://www.dft.gov.uk/vca/vehicletype/national-small-series.asp refers. 3. ESSTA – European small series type approval. It is my understanding that this is effectively dead as a means of approval as there was no distinction between the requirements for ESSTA and EWVTA and hence there was no commercial advantage to going down this route. In my opinion, there is no ‘superior’ quality or ranking or ‘extensive assessment’ as many suggest with EWVTA or NSSTA. It is rather that there are sound economic reasons for utilising the various routes above. A number of tier 1 manufacturers have had the threat of removal of EWVTA privileges in the past (I won’t name them!) so holding EWVTA is not a guarantee of quality. In a similar vein, many OEM’s (particularly truck and van manufacturers) put a number of vehicles through the IVA route each year – often having their own facilities on-site (known as Ptofs) for DVSA to man and inspect vehicles. There is no suggestion that the vehicles approved in this way by household names are inferior to those that have an EWVTA CoC issued – just that there was a commercial reason for approving this way rather than going through the beaurecracy of extending an existing type approval or worse creating a new one for a limited number of vehicles. If you produce limited volumes and are likely by your customer base to use different TYPES (e.g. build on VW, Hyundai, Ford, MB etc in low volume), then the IVA route - although not the most convenient - may be the most economically sound. A cynic may say that at least with the IVA route you have the certainty that an independent body (namely DVSA) have looked at the vehicle and that it has not been ‘self-certified’ regardless of warts or anomalies. With NSSTA, if you’re volume is below the threshold, the costs to type approval are greatly reduced from the IVA route, but you do have the limitations to the number of vehicles and types you can sensibly certify and maintain. If you intend to export or your annual volumes exceed the threshold numbers for NSSTA then you will have to go down the EWVTA route to make economic sense. As I say, there is no ‘ranking’ of the approvals despite what many will infer. The bigger converters like to suggest that by holding EWVTA their quality and approval is of a superior level, in my experience (I use to assess converters quality systems for a living) this is not always the case more a case that their volume in a particular type (e.g. Ford Transit OR Volkswagen Transporter) merits the investment necessary to ‘self-certify’ via EWVTA. If you are producing larger volumes of vehicles of the same type, e.g. VW T6’s, then EWVTA will greatly reduce your certification costs. But there has to be an infrastructure and the associated costs to ‘maintain’ a type approval with alterations to the certificate being expensive and sometimes quite frequent. The difference between converting a camper pre-registration and changing the body type for an existing vehicle can be seen as a ‘cop out’ if you wish to avoid type approval. But that doesn’t mean that every post-registration conversion is a cop-out! After all we can’t all afford a brand new campervan and in our experience most customers are not willing to wait on a factory delivery for a bespoke vehicle specification when a perfectly adequate, nearly new van is sitting in the forecourt of their local VW dealer. To reassure you that we are not using the pre-registered vehicles as a lazy route, we prefer to build even our change of body type conversions to the same standard of certification and conformity of production as those we would submit as new for IVA. Q. Do you have insurance approvals for your conversions? As you can imagine, there are thousands of insurance companies and it would be impossible for us to obtain letters from them all regarding our conversions. When we formed the company, we asked insurance consultants what areas of a campervan conversion require the approval of the insurers. There was no absolute consensus. The baseline was that it met the requirements of the DVLA document for change of bodytype with the ‘gold’ standard being that documentation existed for any additional seating, any electrical system installation - particularly mains and for the gas installation being certified as equavalent to a 'habitation' report for a coachbuilt motorhome. When we do a conversion, we ensure that we utilise components that meet the type approval requirements, e.g. seats and electrical control systems and we have an independent LPG ‘gas safe’ agent certify the installations. We pass all the conformity of production and safety certificates to our customers and retain copies on file. To date we have never had a customer have an issue with getting insurance and most importantly at the agreed value! What a number of converters do is they do not change the body type and the V5C still shows the vehicle as an N1 goods vehicle - usually with 2 or 3 seats. What can then happen is that in the event of a write off or theft, the insurers will only settle to the ‘market value’ of the vehicle as registered. If you’ve just spent say £40k on a campervan and had it stolen or written off, to be handed a cheque for £18k for the cost of a used panel van is not a pleasant experience! Additionally, if there are 5 people injured in a vehicel that states it has 2 seats in the registration, you may just find that your insurance is void. Q. I'm keen to ensure that I've considered the major risk elements of owning a campervan, especially as this is a significant capital purchase. Quite right too! I would never suggest that people don't ask the questions, just don't blindly accept that when the answer you're given is the one you wanted to hear that it is actually correct! It is all too easy to fall foul of the various options and double speak out there. No purchase is foolproof, ‘safest’ bet if you're really concerned about these topics is to buy a new California from VW, but as we know even VW aren’t infallible when it comes to compliance! However, budget often means that buying a brand new California is prohibitive and hence we have a buoyant conversion market of which we at Thistle Rose are a part. As for Thistle Rose, all I can say is that we are a reputable manufacturer with a wealth of industry experience behind us (including over 40 years’ worth of tier 1 experience) and that we do make every effort practicable to ensure our conversions are a secure investment for our customers and that they are to all practicable levels quality products that are safe and compliant.